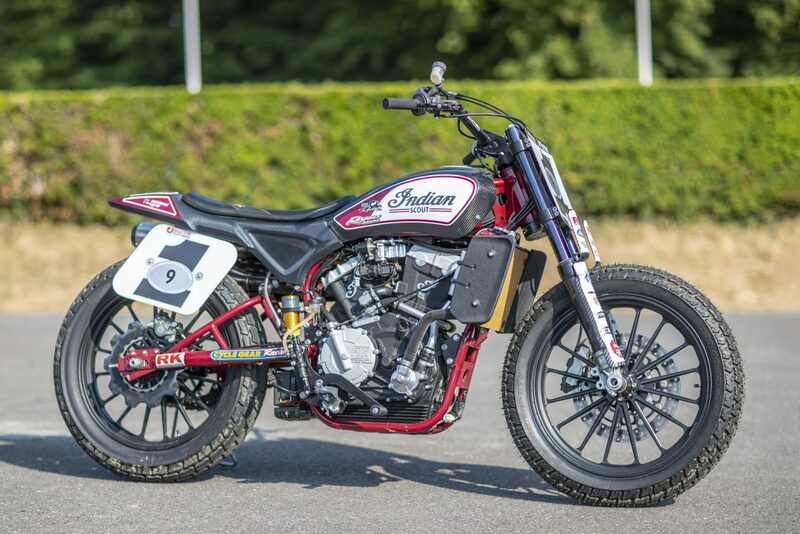 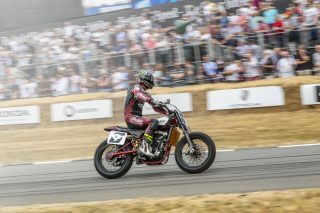 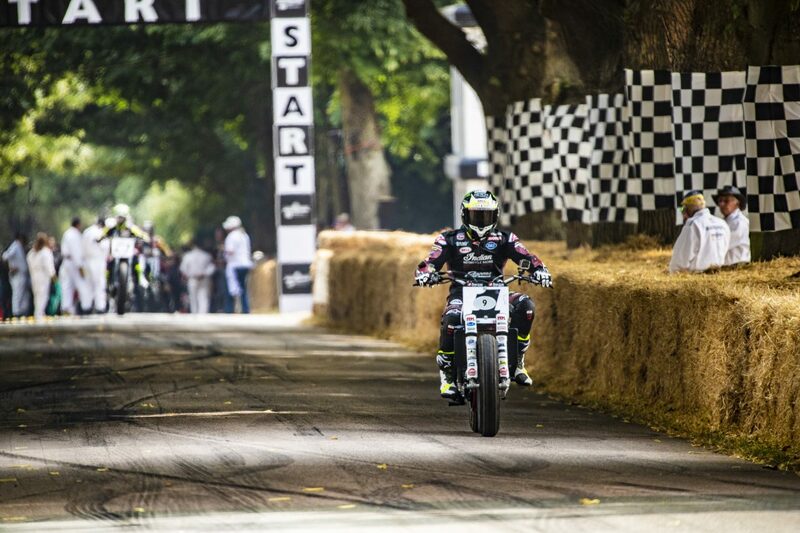 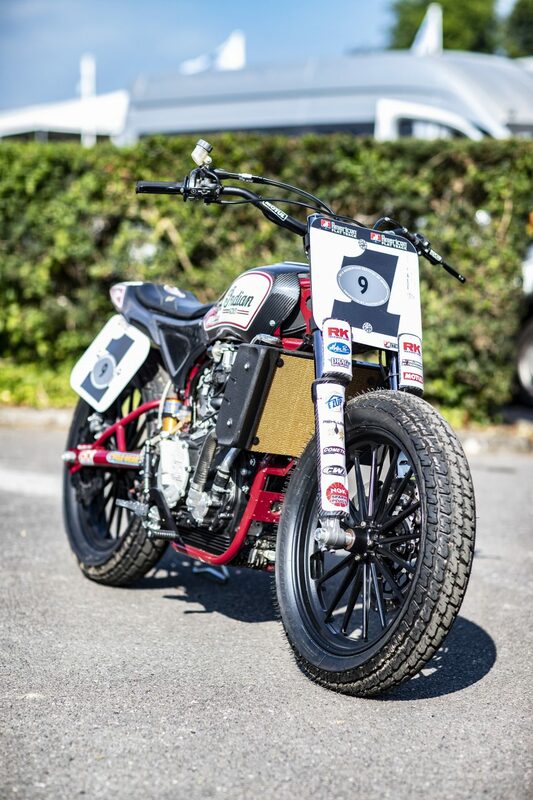 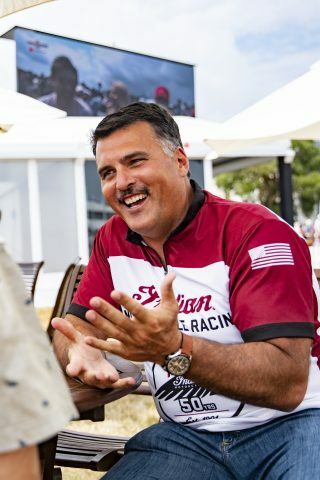 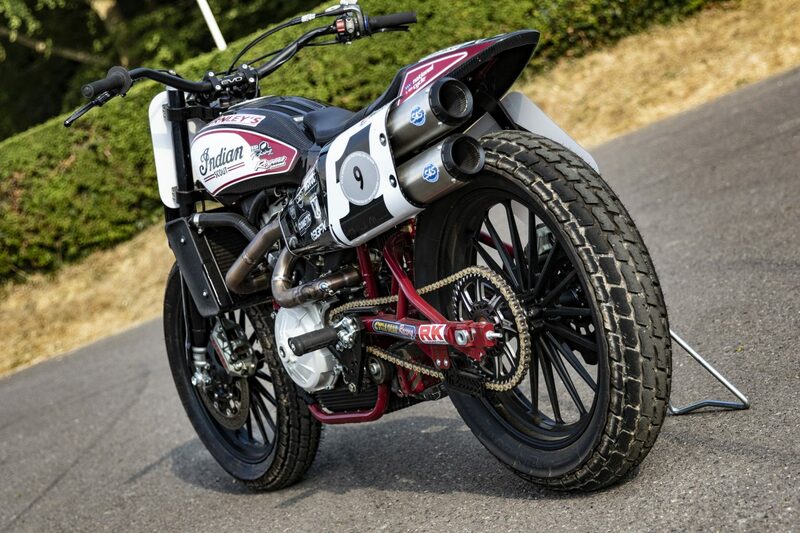 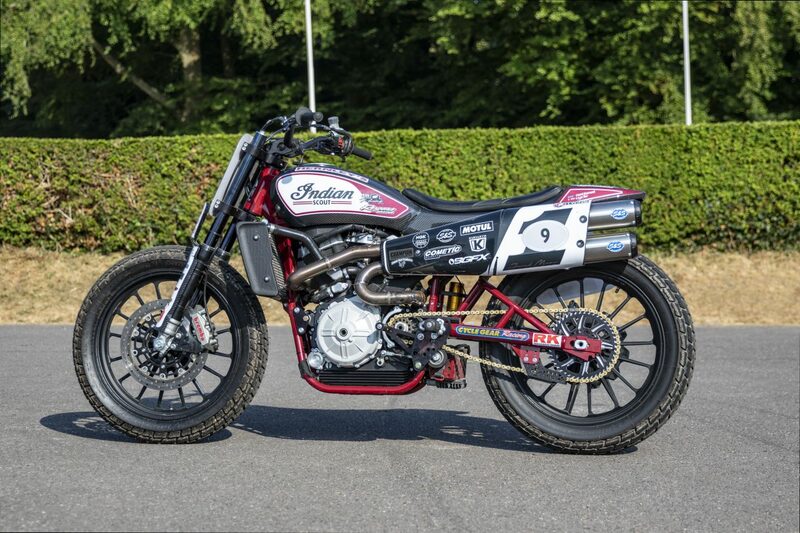 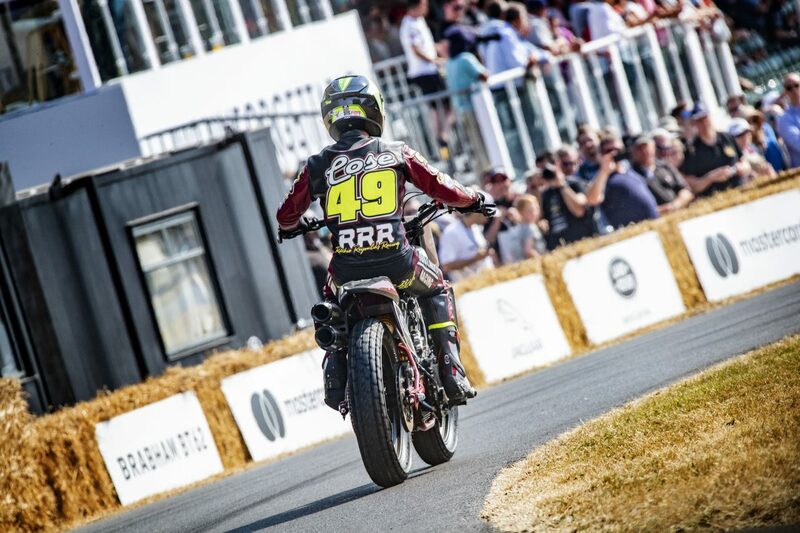 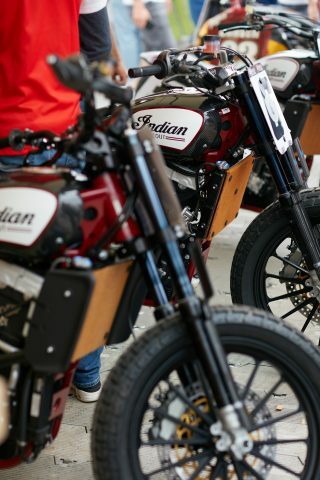 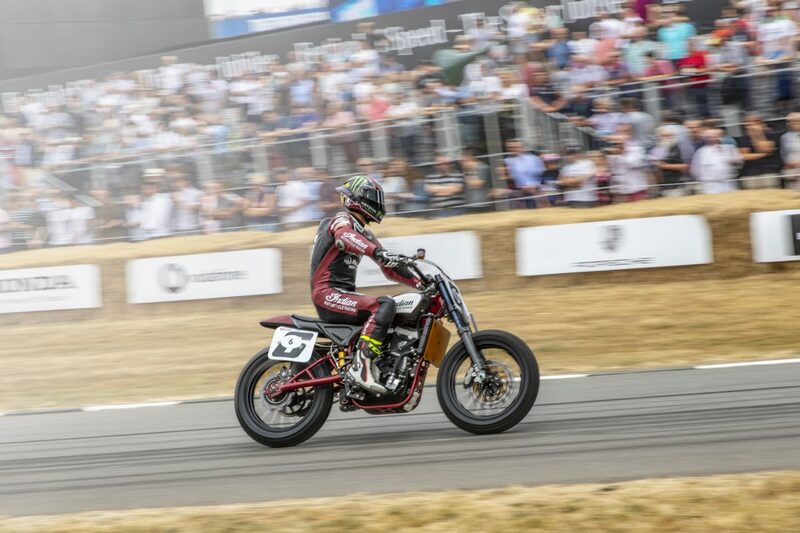 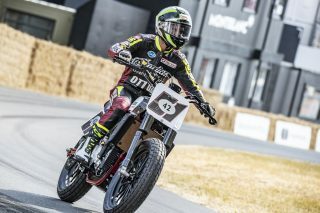 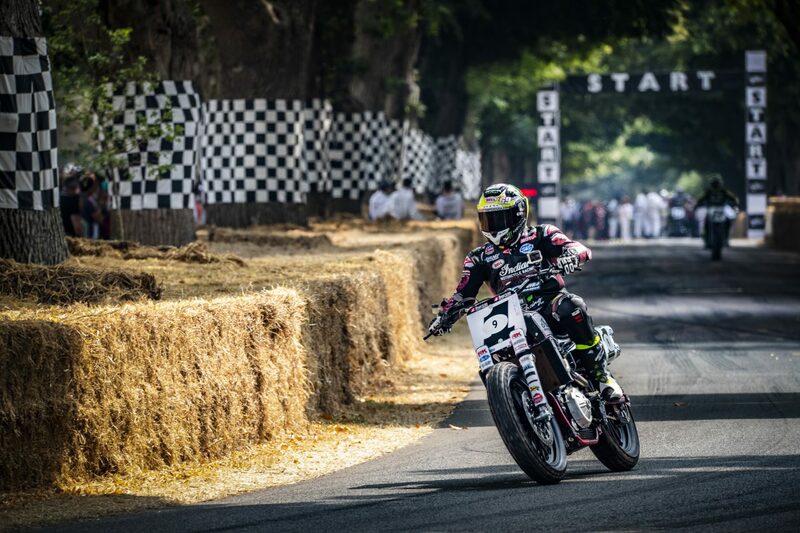 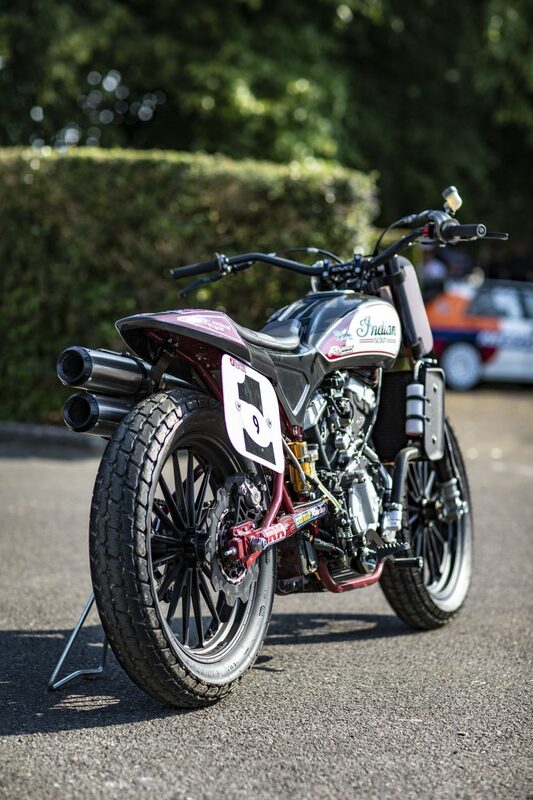 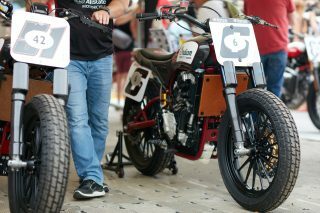 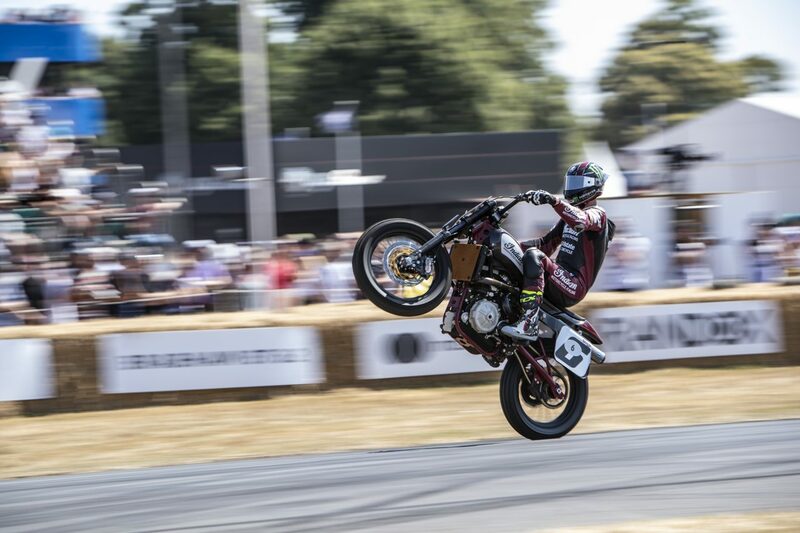 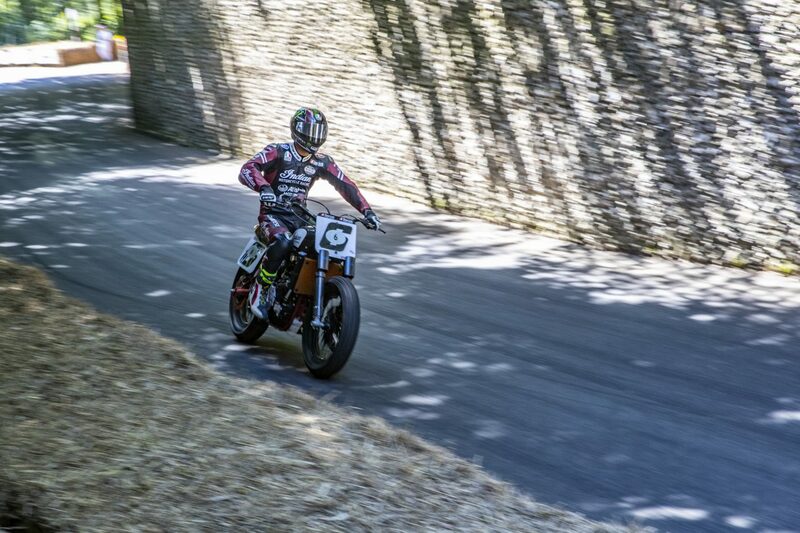 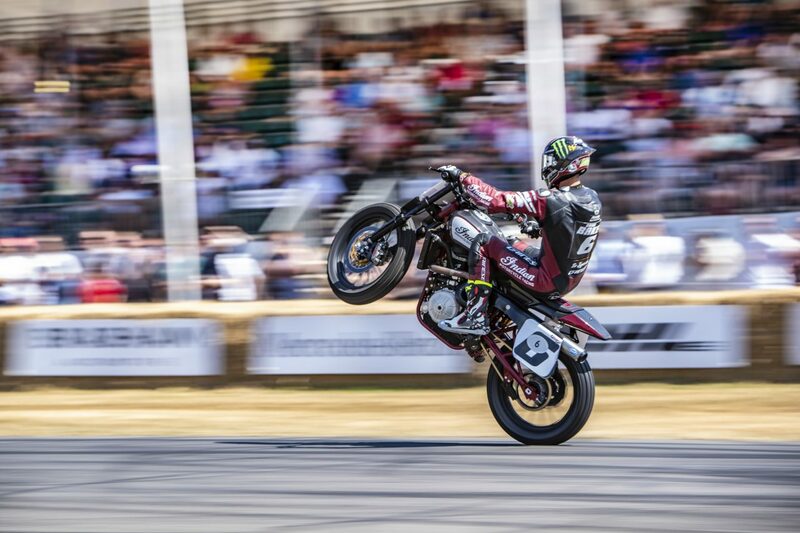 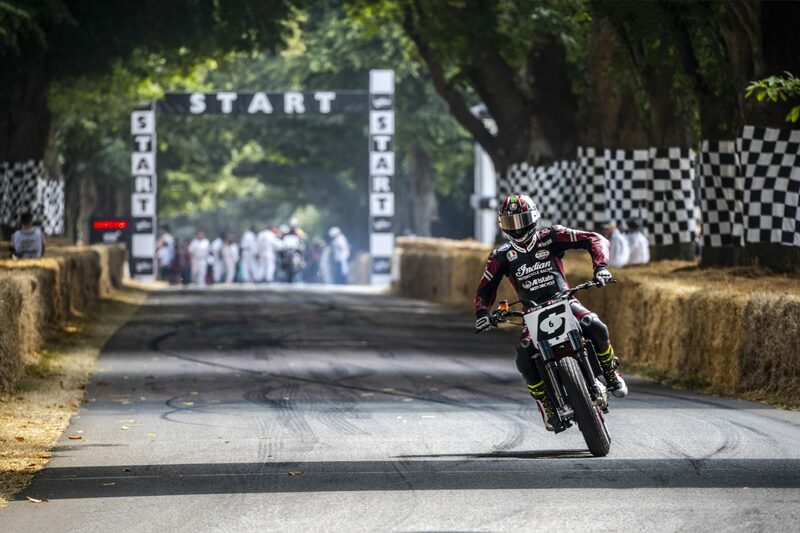 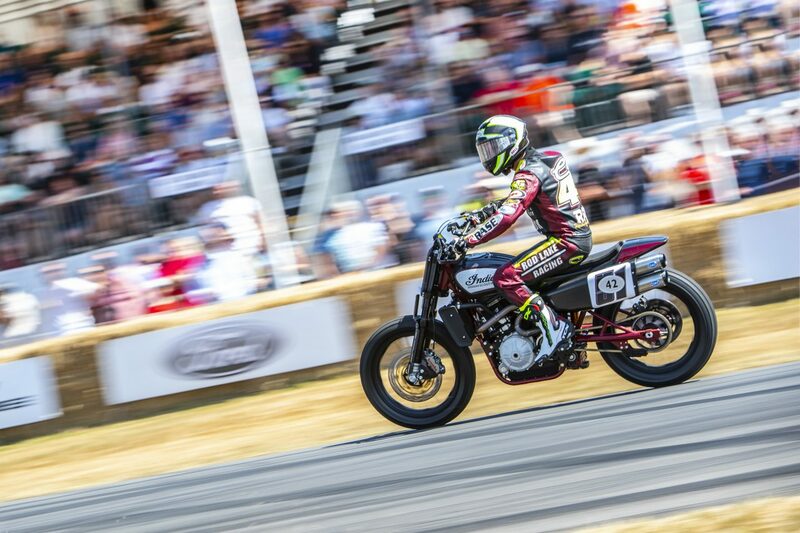 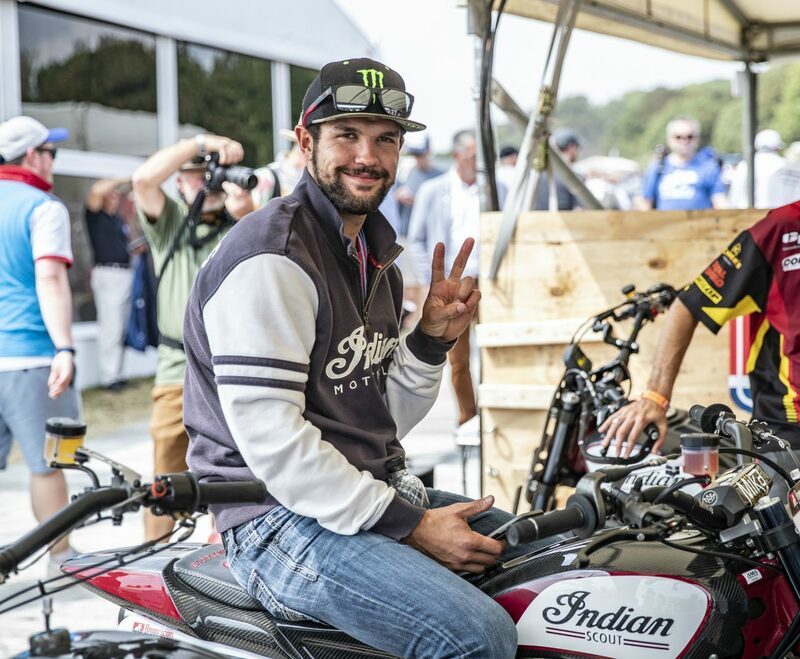 UNITED KINGDOM (July 12 – 15, 2018) – The Indian Wrecking Crew and the Scout FTR750 provided a taste of AMA Pro Flat Track racing at the 25th anniversary of the Goodwood Festival of Speed, a four day event celebrating everything on two and four wheels. 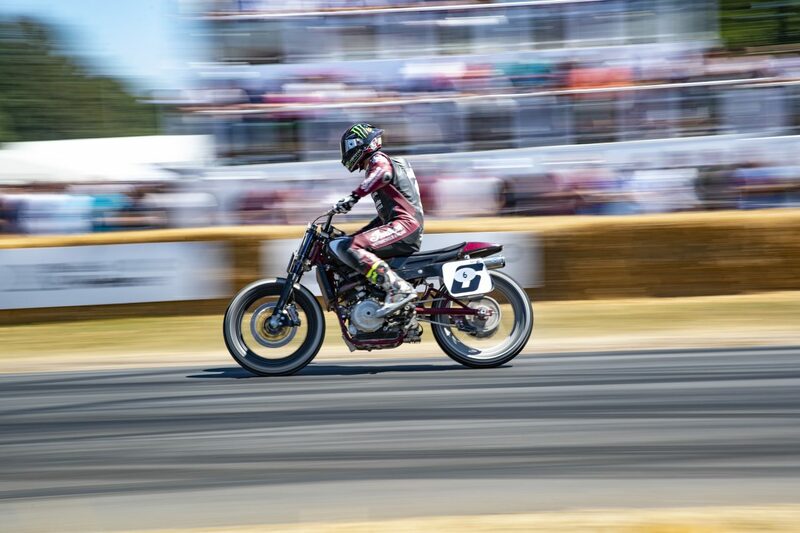 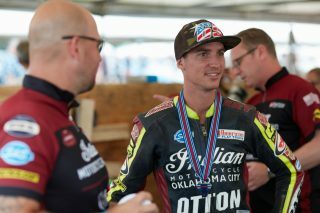 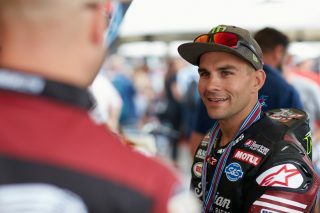 Reigning Grand National Champion and current series leader, Jared Mees, joined fellow Wrecking Crew rider Brad Baker and FTR750 privateer Chad Cose, entertaining the crowds on their FTR750s alongside automotive legends from every corner of motorsport. 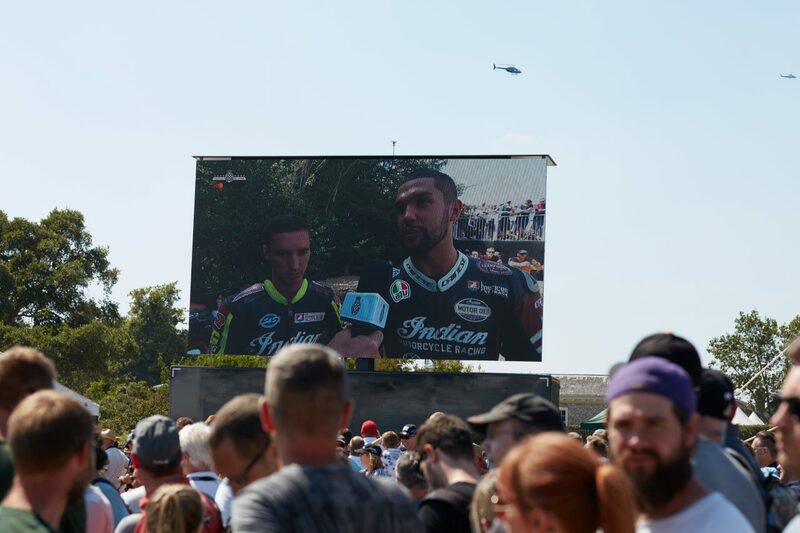 The Wrecking Crew’s first visit to the prestigious event was part of the Festival’s Silver Jubilee celebrations, which benefited from incredible summer weather, and formed part of a larger American Flat Track invasion. 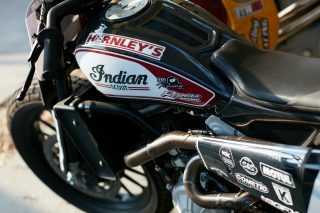 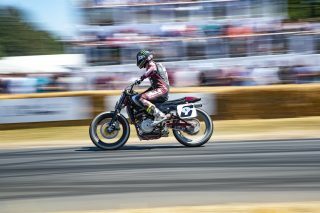 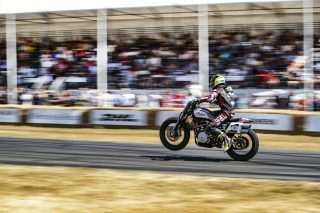 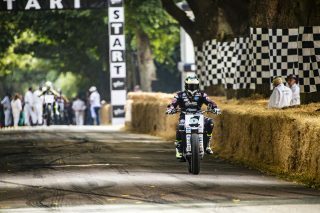 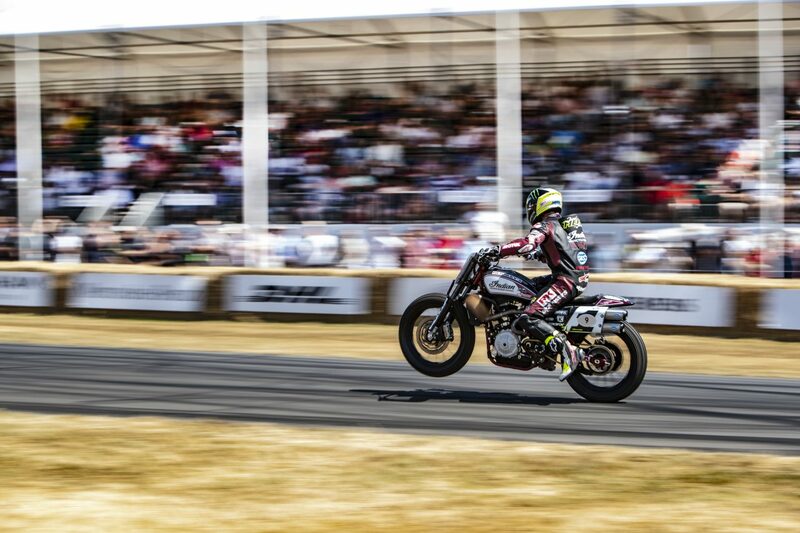 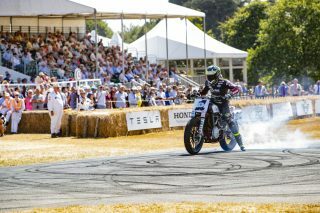 Despite sharing the hill with some of motorsports biggest and best icons, the Indian crew flew their flag high in front of Goodwood House, proving to be a hit by demonstrating the impressive performance of the FTR750, taking to the grass on occasions to give the crowds a small taste of American Flat Track. 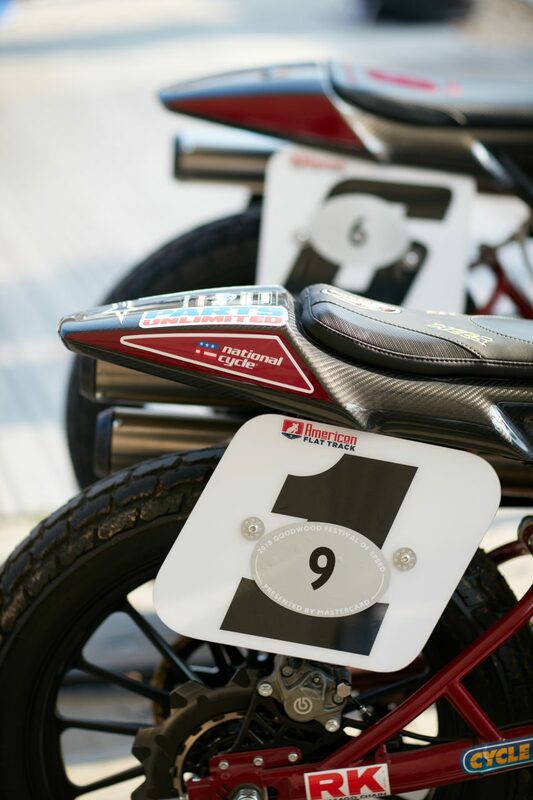 Named after the famed Wrecking Crew flat track team of the 1940s and 1950s, the team dominated the 2017 season, the first factory racing effort since 1953, with Jared Mees currently leading the 2018 season as points leader having secured 9 wins from 11 rounds. The Indian Wrecking Crew and stable of privateers aboard the Scout FTR750 continue the 2018 season by racing in the The Buffalo Chip TT, presented by Indian Motorcycle, at Sturgis on Sunday, 5th August. 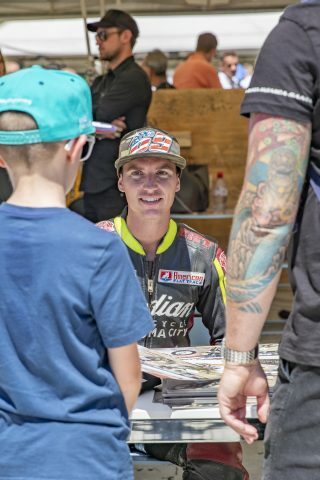 Please give photo credit to James Calvert.